Price includes: 1. Bed linen, bathroom towels & tea towels. 2. Beds made for arrival. 3. Exit clean. 4. Pool heating. 5. Water, gas & electricity. Compulsory extras: EUR 150/wk for heating Oct-Apr (add to payment). 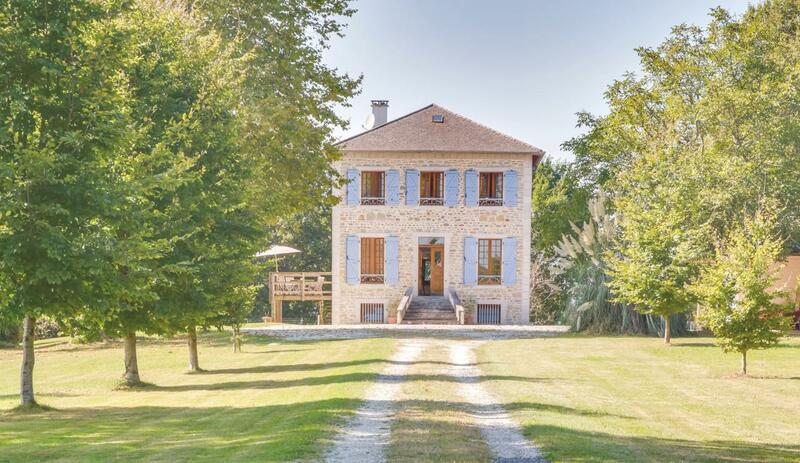 Very few holiday properties can match the character of la Joliette. 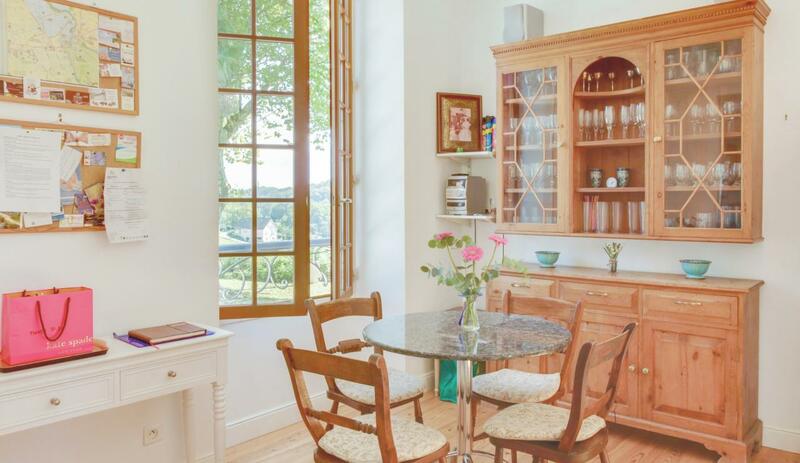 It's a beautiful yet very informal home, tastefully renovated by its English owners. 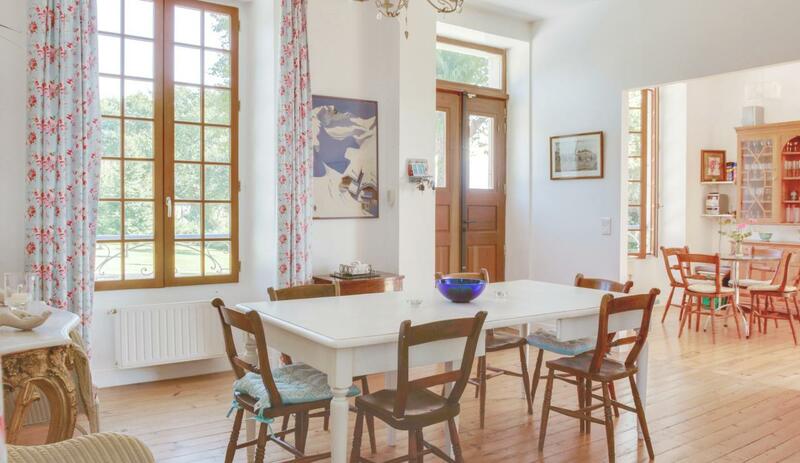 La Joliette oozes French charm with its many elegant touches including wooden floors, original staircase and 'maison de maitre' architecture. La Joliette delivers the whole package - attractive & spacious accommodation, all bedrooms en-suote, privacy & seclusion and superb views. Francophiles who will appreciate the style & decor of La Joliette and the authencity of the Béarn region of south west France. 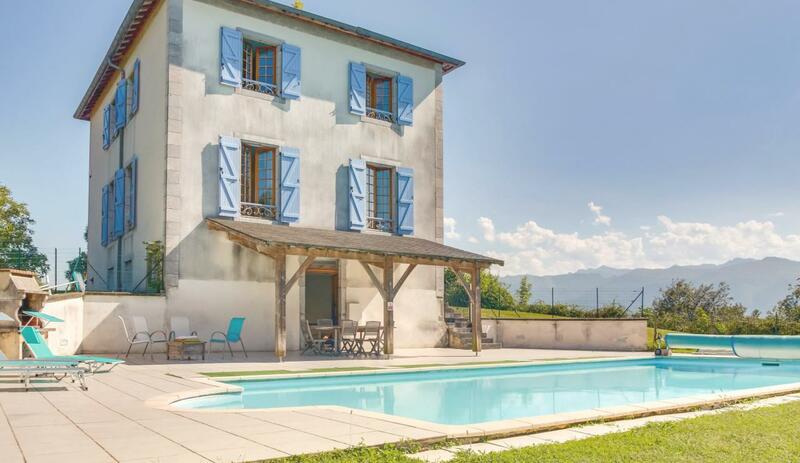 The property & region work well for families for whom the beach is less important but who do want a successful combination of outdoor activities and classic French culture. 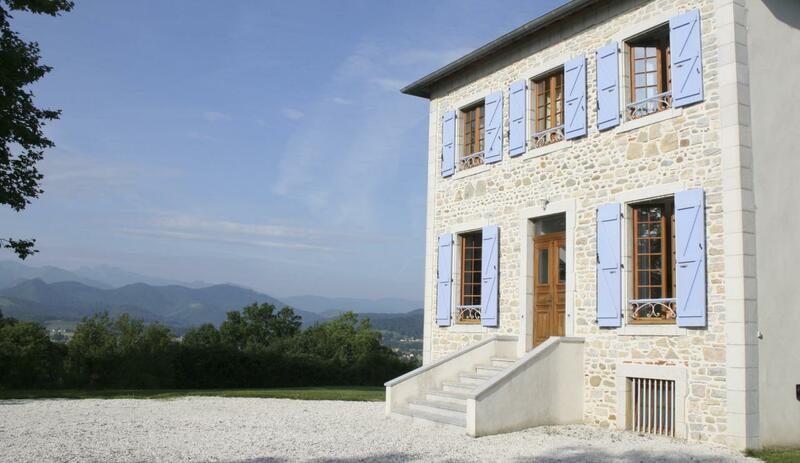 Outside the summer school holidays, La Joliette is available hikers in spring & autumn and is popular with couples here to enjoy the local scenery, market towns and culture. No WC at ground floor level. Separate WC downstairs. A charming and bustling market town in 'deep France'. There are a few monuments of interest but the market day is the best time to visit and sample the Bearnais life. 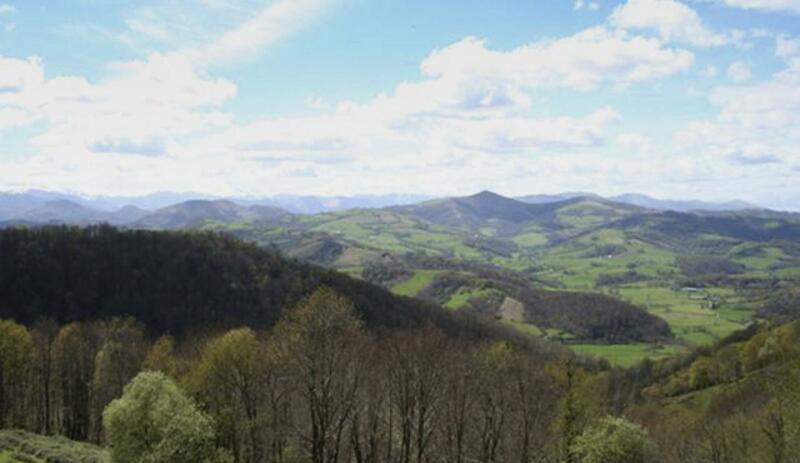 Oloron is also an established gateway to the Pyrenees and its many activities. 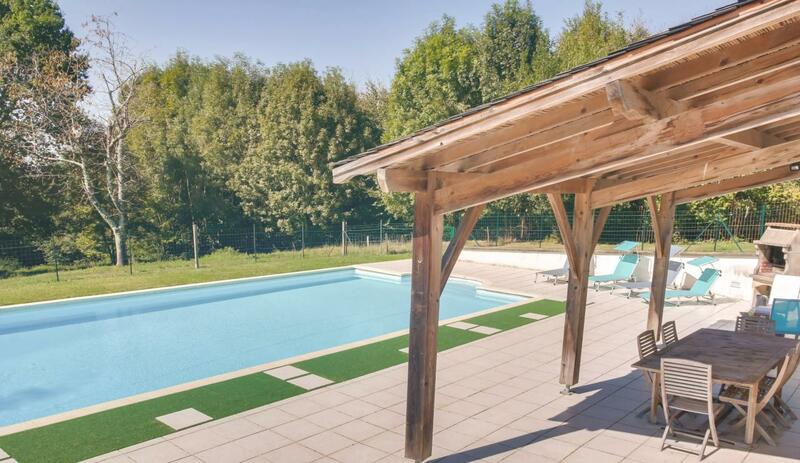 Luxury maison de maitre with heated pool and games room, in generous grounds. 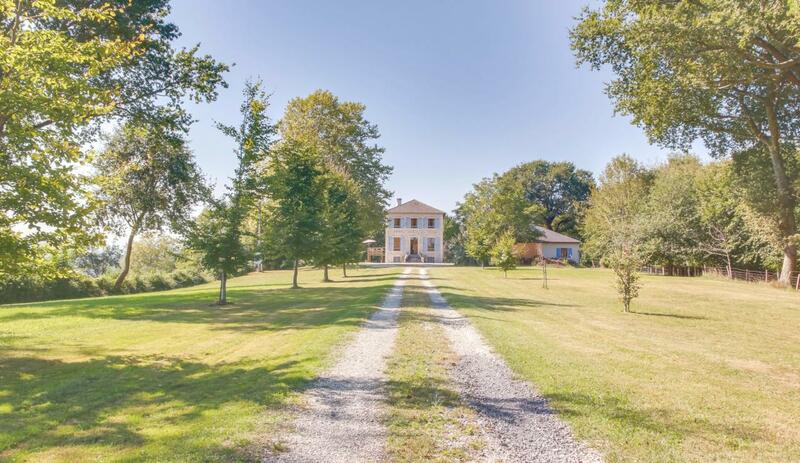 From the moment we arrived at the entrance gates to la Joliette, we had a good feeling about this property. The long, gravel driveway leads to an imposing, beautifully presented property and one which can be seen from many parts of the town. 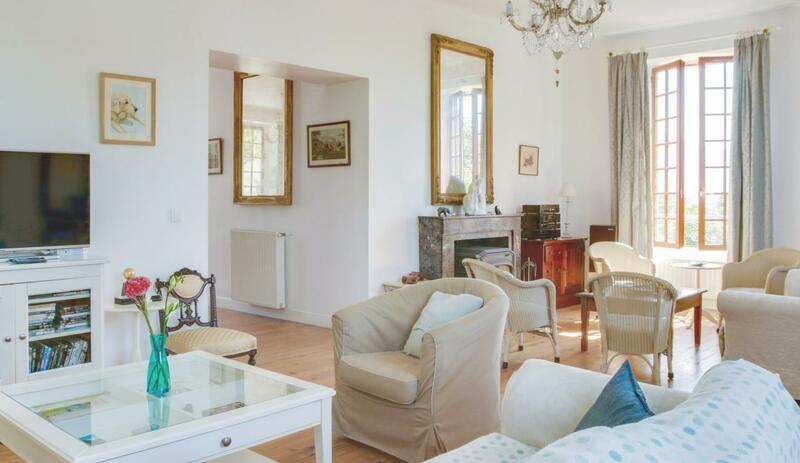 The property is well-known in the town and has quite a colourful history too. The house was built in the mid 1800s for the Bishop of Oloron. It was owned by the Church until the 1920s, and by one family since then, until an English family purchased it in 2005. For some years, from the 1960s until the mid-1980s it was a small hotel and restaurant and the present owners tell us that it had "a bit of a reputation". For what, we're not quite sure but for us it just adds to la Joliette's appeal! The accommodation is spread over four levels. 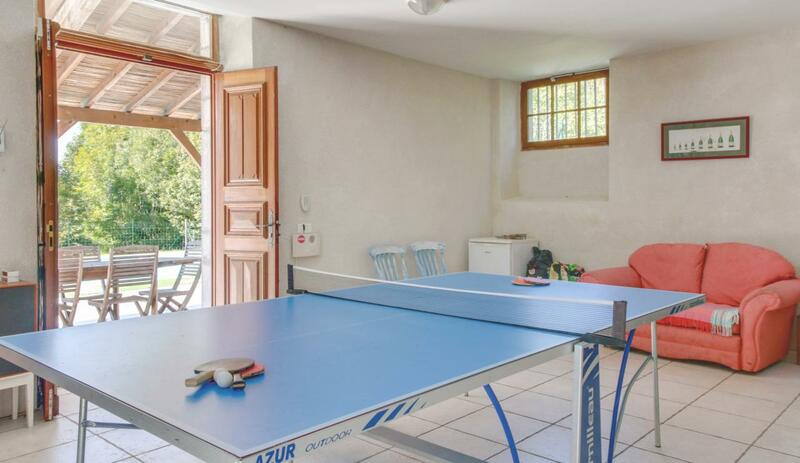 Games room with table tennis table and CD stereo (with iPod input), TV and Sony Playstation which can also be used for DVD's- it's a great place for the kids to unwind and amuse themselves away from adults. 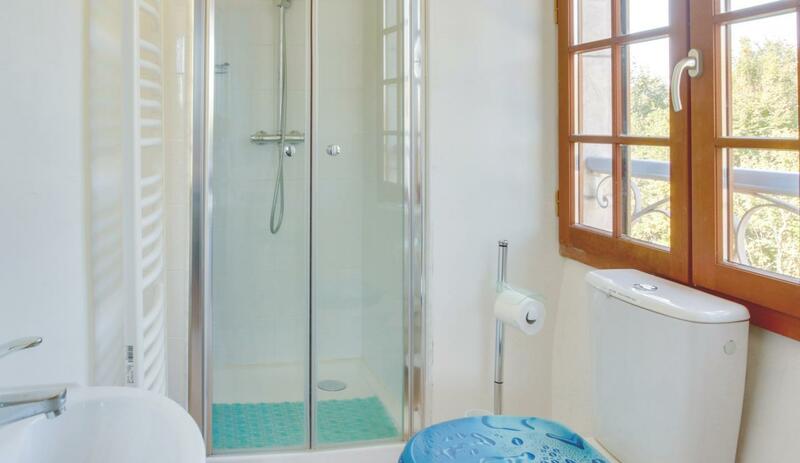 There is a shower & WC here also - ideal for when you are relaxing by the pool. Also handy is the drinks fridge. The laundry room can also be found in the basement. The main entrance, via the stone staircase, leads into a spacious entrance hall. To the right is a dining area with table for up to 10 persons, and to the left is the kitchen. 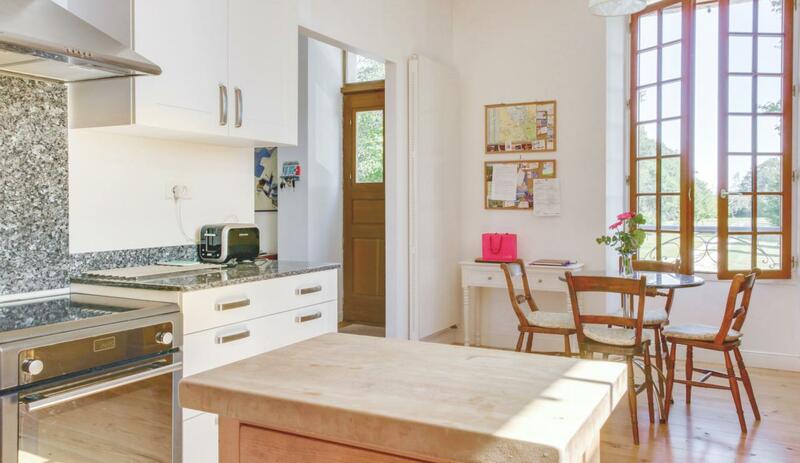 Generously equipped, the kitchen also has access to a south-facing decked terrace. The hallway leads to the spacious grand sejour. 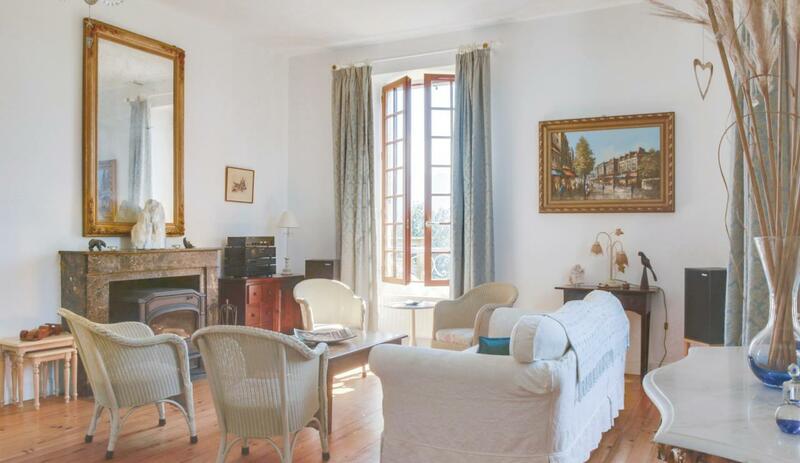 This is the principal room of the house and has been furnished to a very high standard. Features include huge mirrors and a marble fireplace. This is an extremely comfortable space for resting in the evening, after a long and delicious meal on the terrace! There is plenty of seating (three 2-seater sofas), plus flat screen TV, CD stereo, DVD and vcr. There are lots of DVDs and videos for guests' use. 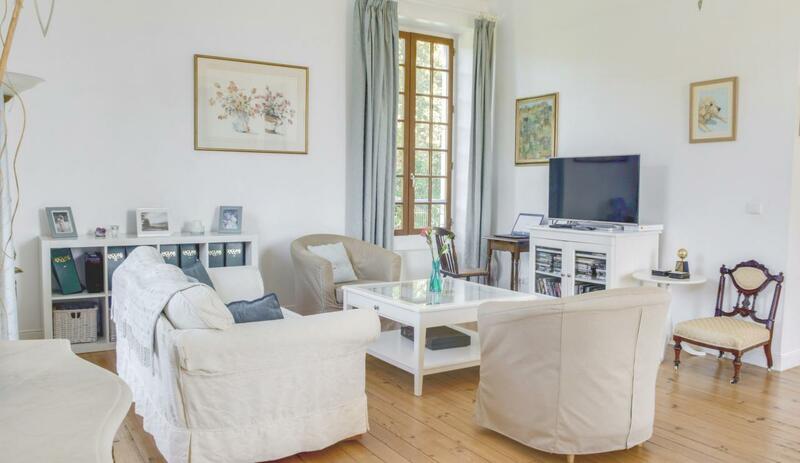 Only French TV channels are available here - if you are interested in watching UK TV during your stay then it is possible to do this if you bring a laptop with a VPN loaded up that can be plugged into the TV. 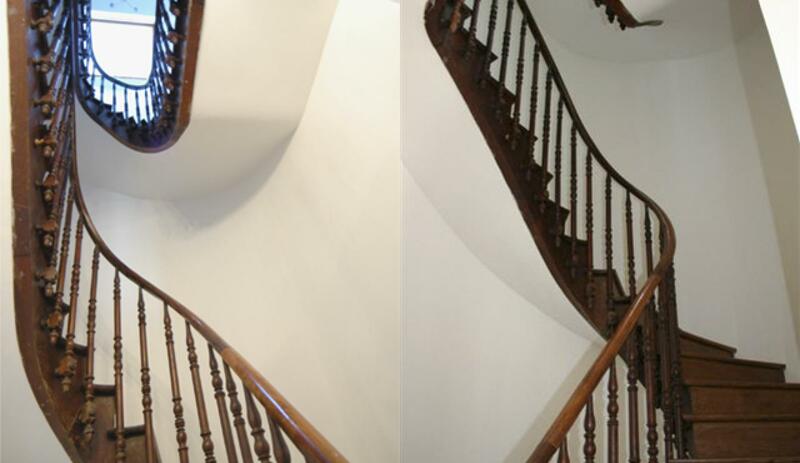 A wonderful, original carved wooden staircase leads from the hallway to the first and second floors. The four bedrooms are situated on the first floor. Each has a pleasant aspect and benefit from attractive, original wood flooring. Bedroom 1 - 140cm double bed, double wardrobe, bedside cabinets x2. En-suite shower room with WC and basin. Views to the front of the house. 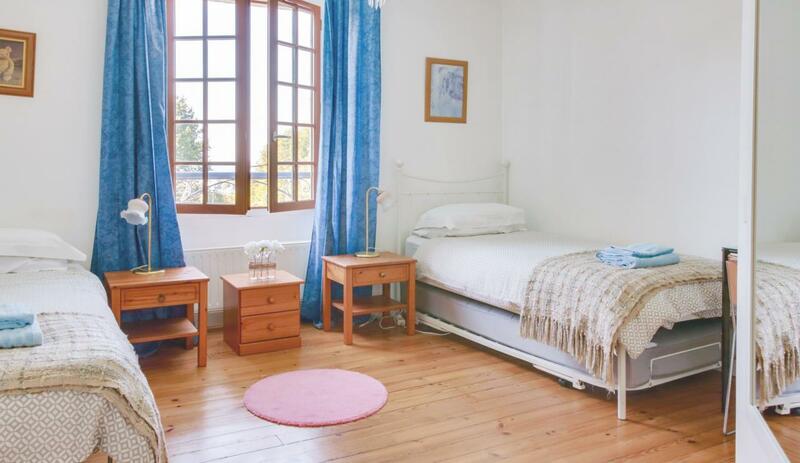 Bedroom 2 - twin beds (90cm), chest of drawers, dressing table. En-suite shower room with WC and basin. Views to the front of the house. 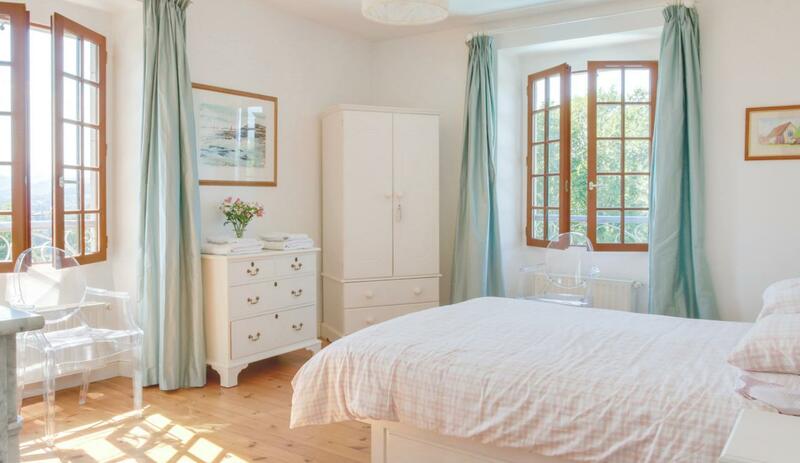 Bedroom 3 - twin beds (90cm), double wardrobe, dressing table, bedside cabinets x2. En-suite shower room with WC and basin. Views west to the rear of the house. Bedroom 4 - queen-size double bed (150cm), double wardrobe, chest of drawers, bedside cabinets x2, fireplace, twin aspect (south & west). 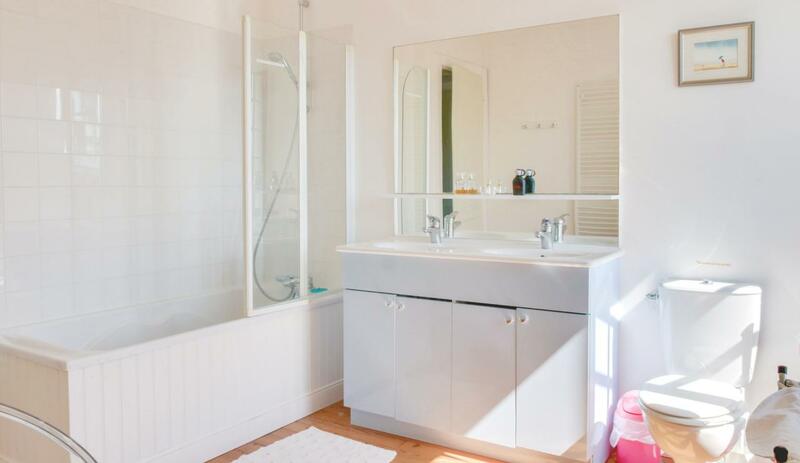 Private bathroom with bath, shower, double basins & WC. Views to the south and west. At the top of the staircase there is an additional bedroom which is closed off for personal use/storage. 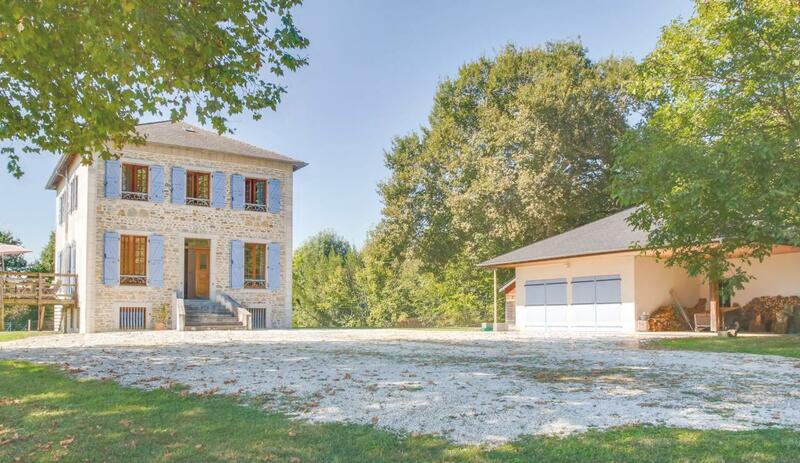 The house lies in a generous plot of land, about 1.5 ha in total. There is plenty of space front and back for kids to play. The breakfast terrace is south-facing and the rear pool terraces are south and west-facing. There is plenty of room for dining outside. The patio terrace can be accessed directly from the living room and basement. The large, heated pool measures 12x6m, with a depth of between 1 and 2 metres. It is accessed via Roman steps, and protected by a cover (also helpful for retaining heat in the water). The pool is in use from May through to September. There are 6 sun-chairs and 4 sun-loungers on the pool terrace. Please note that the pool fence seen in some of the photos has in fact been removed. 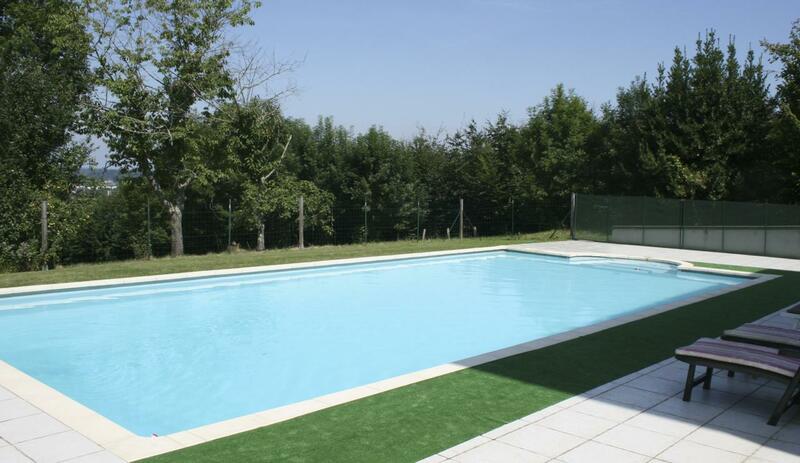 Large, heated pool 12x6m. Depth range 1.0 - 2.0m. Roman steps. Protected by fence & cover. Pool in use May through September. 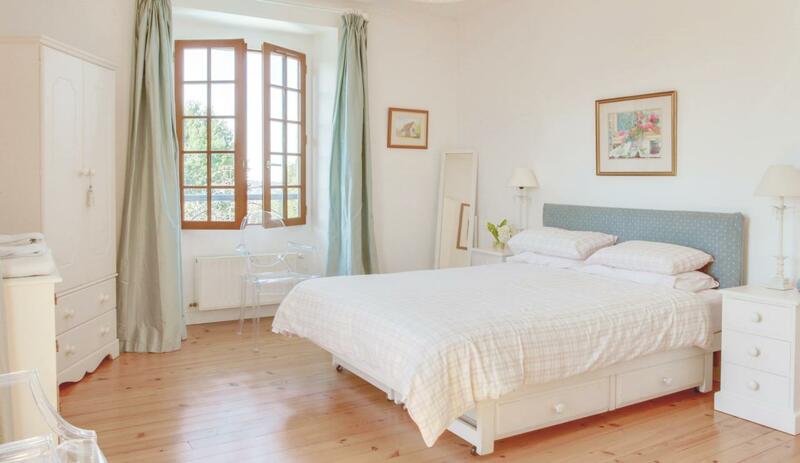 The villa enjoys a 'standalone', hill-top location on the southern outskirts of the town. 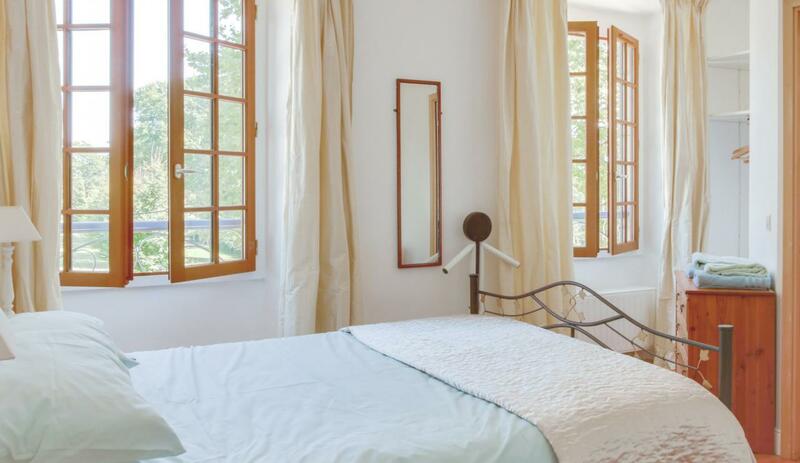 Its elevated situation affords it excellent views to the Pyrenees. The property is tucked away thanks to its long driveway and there is no passing traffic. As such the location feels very private. Oloron-Ste-Marie is a traditional Béarnais market town to the south west of Pau. The stunning scenery is a key reason to visit this area. Product: The house, swimmingpool and garden are lovely! One point of suggestion is that we thought there were too many things/there was too much stuf in the house. Less is more. For example it was hardly possible to use the kitchencupboards, because they were all full. Product Comment: Thanks very much for your feedback, delighted that you enjoyed the house. We will visit the house next month and see if any items can be removed to free up some space! Service: Very responsive at all times to queries. Great service. Product: Another wonderful stay at beautiful La Joliette! Service: Very helpful and efficient! The complementary map of Aquitaine was a really nice touch! Product: Wow - what a truly fantastic house in a beautiful location. We are planning a return trip next year! 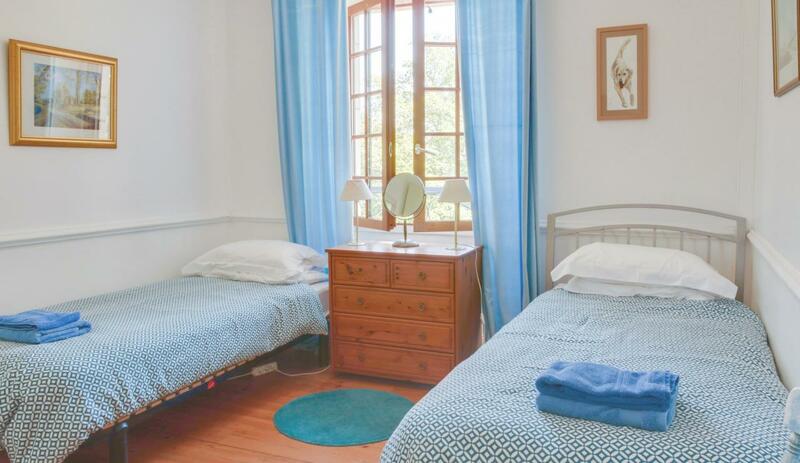 Service: This was the first time we have used this site to book accommodation in France. We found it easy to use and the choices of regions and houses very wide. Product: The house was very comfortable and well appointed. The swimming pool was large and heated. 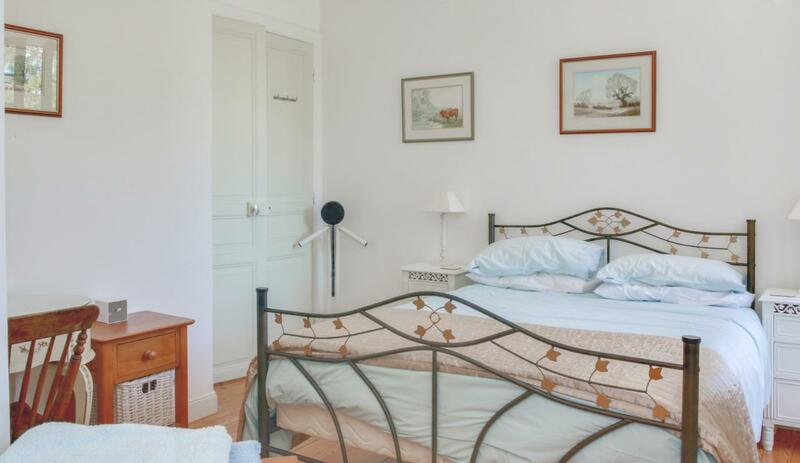 Bed linen was changed weekly and we had the added assistance of Nathalie who spoke very good English who met us at the house and ahowed us how everything worked. 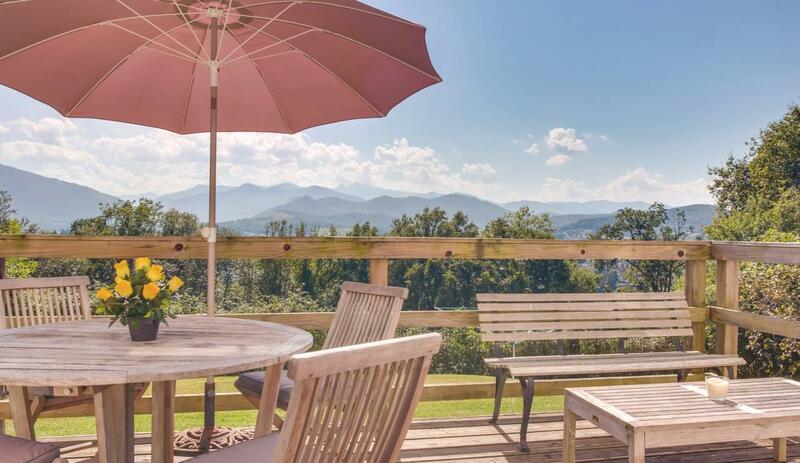 Great views of the snow capped mountains and surrounding countryside. Service: Very efficient, la Joiliette was just as described. Good website and the information about things to do during our stay was very helpful. Product: Wonderful property, great views, peaceful, dark at night. Well provided kitchen. So often we stay at self catering properties where nothing is provided save1 bin liner and 1 dishwasher tablet. The concept of a replace-what-you-use worked so well here, and just creates a lovely feel to staying. The children loved the pool. Service: Service was very good and professional. Service: The holiday fitted us like a glove the house was everything they said it would be and more.They are very honest on their website if a road could be the slightest bit noisy they will tell you about it. Product: The best holiday we have had for years,the weather was stunning 14 days out of 14; makes a change from dodging the showers in Cornwall in August .The house had everything you could need, this had obviously been thought about when the house was laid out .The BBQ and pool area made our holiday.